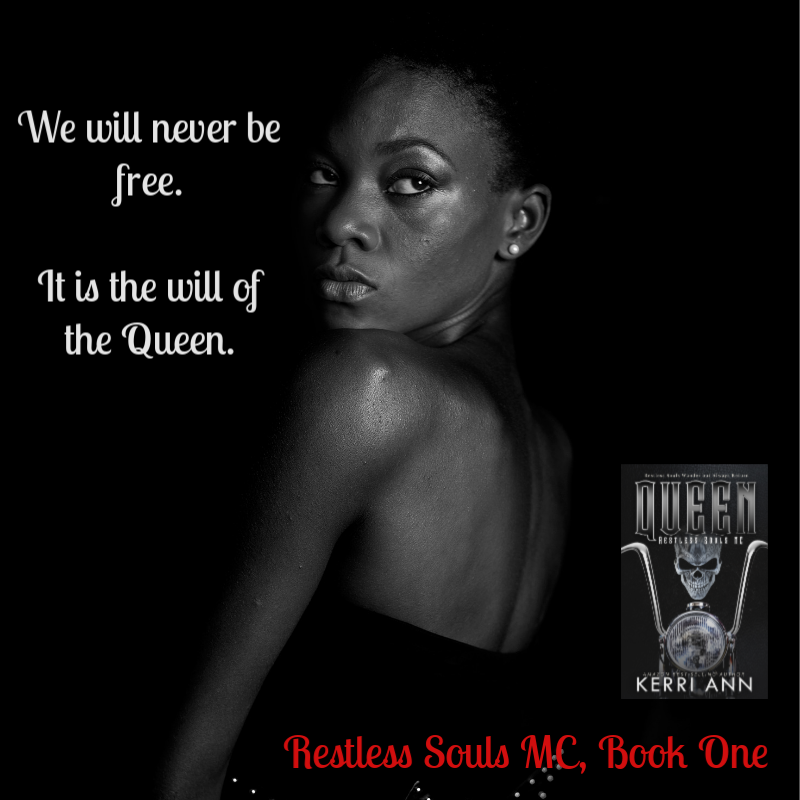 ✰✰ NEW RELEASE ✰✰ Queen (Restless Souls MC #1) by Kerri Ann is LIVE! The Queen, is a woman not to be toyed with. She takes what was owed, keeping it until the debt is paid. I was a debt to be paid. I’d understood my lot in life early, knowing my life was forfeit. Until the day he arrived. Dragged across the scrub, laid in the stone house, I watched and listened. I saw who he was. A kindred soul that was now a debt like me. The Queen was playing her game and he was just a new piece on the board. His strength, his fury won’t help against her cunning, and deciding to help him could be my death. 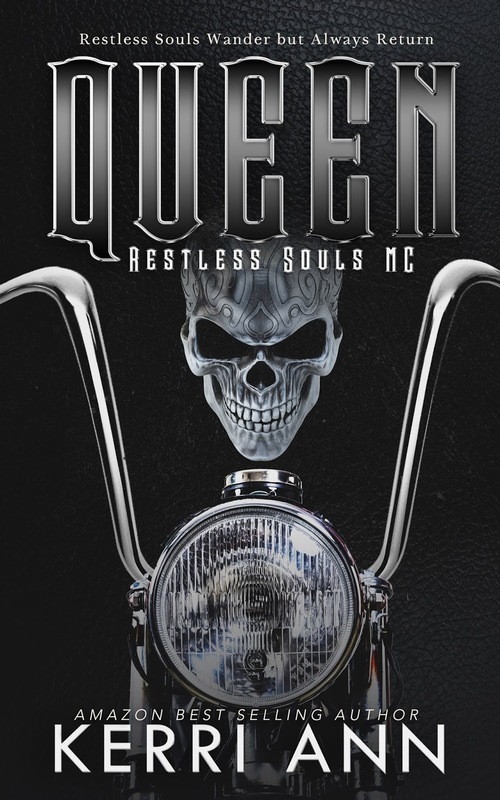 Following the story of the Broken Bows MC, the Restless Souls MC continues the battle with the vindictive wicked cartel Queen. Tick tock. A chiming bell. I’m your little slice of hell. The King of cream. You made him fall. A Queen. The heart. I’ll stand tall. The pieces set. The places dealt. There’s nowhere left to run. I’ve set the board. I’ve set the trap. Now it’s your time come. Down and down, until I win. Your downfall is my sin. The Knights will fail. One by one. Until all the King’s men fall. Their power wains, I’m ready to maim. They’ll reap what they have wrought. Brought out by their design. 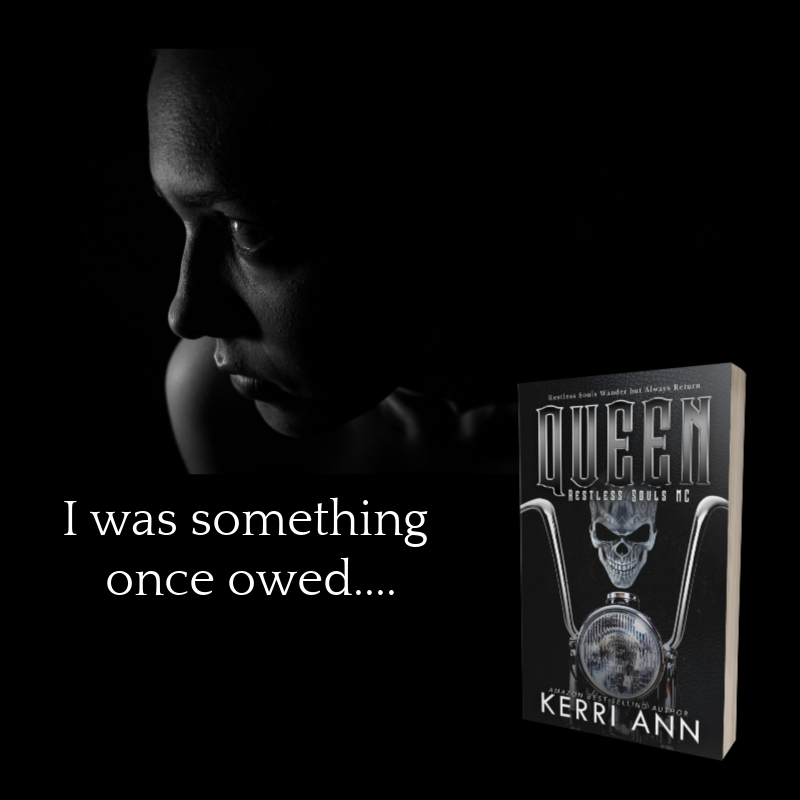 The Queen is a standalone, but is best read after King and Pawn from the Broken Bows MC. Recommended to read Christmas at the Clubhouse Anthology. It’s heart wrenching stories where the muse directs her. As the instrument of their lives, the stories are told piece by piece with emotion, that has the story read like a movie. You can hope for the good guy to win, but it won’t always happen. She can’t guarantee an HEA (happily ever after) or HFN (happy for now), because life doesn’t always have those. Enjoy the OMG’s and tears. Tear your hair out, toss a book or two, because I want you to feel their pain too. As they live it, absorb it on the pages. PreviousA Hard Man to Love by Lola StVil NOW LIVE & ONLY 99c!! !